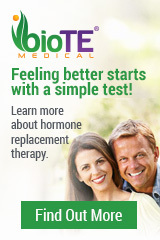 You may not have heard about Hormone Pellet Therapy before but it’s not new. For over 70 years, this procedure has provided relief to those with symptoms related to hormone imbalances. Pellets release a steady flow of hormones in the body unlike topical, oral, or injectable hormones which can fluctuate between doses. There’s also no risk of transferring from skin to skin like with topical hormones. Treatment doesn’t rely on the patient’s ability to inject themselves regularly but is instead done in the office in a quick 15 to 20 minute procedure 2 to 4 times a year. Our rates for hormone pellet therapy are some of the most competitive in the state. Hormone Pellet Therapy is tailored to each patient’s lab results and symptoms and prescribed with a custom formula. The pellets we use are bio-identical which means they have the same chemical structure as the hormones our body already makes. This allows the hormone to be well accepted by the body, decreasing side effects or risks like those of non bio-identical hormones. During the procedure, a pellet about the size of a small grain of rice is placed in the hip or buttock beneath the skin. A mild local anesthetic is used and the patient is back on their feet and back to work immediately following the procedure. The body will draw hormones from the pellet as its needed, creating a steady release pattern. Who could benefit from this therapy? Talk to Dr. Andry if you are interested in more information about hormone pellet therapy.